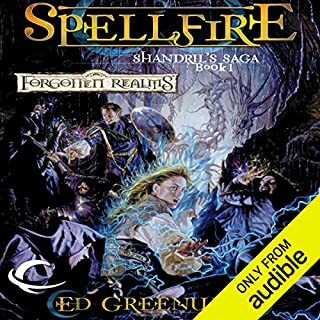 ©1989 TSR, Inc. (P)2012 Audible, Inc. 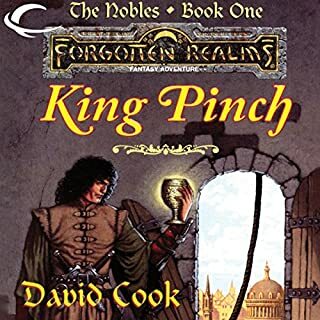 I loved this Book when I was a kid, It was for me, an excellent step away from the Forgotten Realms regulars and developed some of the most enjoyable characters I ever read in the genre. If you are a F.R. fan give this a try. I really like this genre, so, even if its not stellar writing im still hooked on the fantasy world and get pulled into the DnD universe. The story telling and cliffhangers are not near as good as many other books. For example, one telling factor is when it becomes extremely difficult to put the book down at the end of a chapter... i didnt exactly get that feeling for most chapters... but, I was thoroughly entertained. I still looked forward to continue the story and imo this is well worth a read. This was the first novel I ever read to completion. As a 14 year old, I learned about Dungeons and Dragons. How excited I was to find there were entire books with these types of stories! I was hooked. I thought the book was great. But I was 14. Nostalgia is another powerful thing. Listening to it some 30 years later, it's very basic and not very good. The plot holes really stood out, and some of the love stories seemed out of place. The narrator, while quite adept at reading children's novels, does not take well to this type of narration. So I remember reading this when I was a kid. It is a pretty good low thought dnd book. I can enjoy the book and the story for what it is. The performer, though, left a lot to desire. Her accents and voice differences for characters were.... bad. Also she pauses when she shouldn’t, and doesn’t when she should. She mispronounced a lot of words and sometimes misspoke and said the wrong word altogether. I wanted to love this but learned to live with. The narrator was a bad choice for this book. The story was tolerable lots of things just did not work. I am almost gave this one up but after the first chapters it gets better. 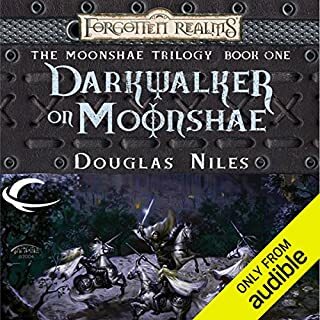 I loved the computer game and bought the d&d module and hoped the book would be good as well but it fell a bit short. I am still going to keep it and some parts were good. For devoted fans this might be enough. Just slightly disappointed. 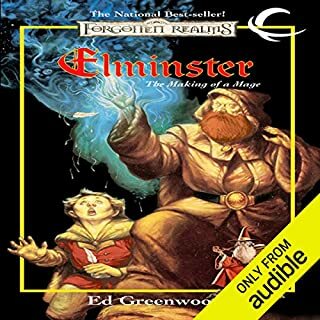 The narrator was no doubt a pro but just better for another type of audiobook. Standard adventure story, but could use some audio editing. I used to love the game back on the time before grahics. An ok story, poor delivery. The story starts out fine enough. It paints a main character and her plight. Following up, it quickly introduces the other main characters. Progression flows naturally at first, but quickly dwindles when the three main characters are introduced, and it doesn't get much better from there. The characters are either never sure of themselves, or are too sure of themselves, resulting in avoidable situations. As somebody who enjoys playing the game, there always seems to be a glaring disconnect between the powers of the characters in the book, and similar characters that you may play yourself. For instance, the mage claims to have trouble in her magical studies during the book, having trouble casting a level 1 spell, but quickly learns to master weather manipulation....what? She relies heavily on magical items and very little on herself most of the time. The plot hooks and intrigue are flimsy, and a glaring plot hole kills the immersion early into the book (Will include light spoilers below). The final battle scene is incredibly anti-climactic, and throughout the story, the weaver of the intrigue is portrayed as incredibly one dimensional. The story has such potential, but it falls short. Lastly, the narration is very spotty. The narrator hardly deviates from a static voice developed for each character, and has almost no variation for account of emotion or intent in conversations. It makes all the characters come across as dull and uninteresting, makes conversations seem lifeless, and always leaves the listener wondering what could have been. In order to even finish the story, I had to rely on curiosity for the outcome of a situation, rather than the development of a character or arc, just to keep interested. But a good story should not rely on this method. Overall it was a harsh let down for an interesting story idea. SPOILERS: The plot hole relies on an item called a ring of three wishes, which grants up to three wishes for the wearer, but not always in the way asked for, or intended. The mage squandered 2 wishes early on accident simply by uttering the words "I wish" followed by a command, but not with the intent of using her ring. However, the ring obeyed, granting her increased physical prowess, and a teleportation to the main location of the story. However, at another point, she is thinking of her dead teacher and either says or thinks the command "I wish you could meet my new friends." but the ring does nothing. 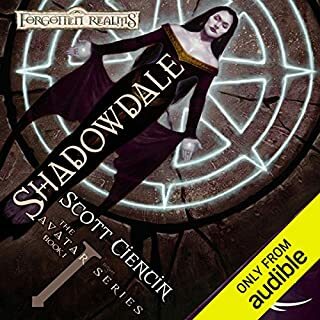 Now, she had no intent on actually using the ring at that point, but neither did she in the earlier fumbles of the ring, and the ring very much so has the power to bring back the dead, or call a spirit of the dead, But the authors choose to ignore this part, just to keep the final wish for another part of the story. It was incredibly sloppy and killed all immersion for me, but that comes from knowing how the ring works based on the rules of the item. Wonderfully written, And I absolutely loved the journey!! I will be buying the next book in this series. 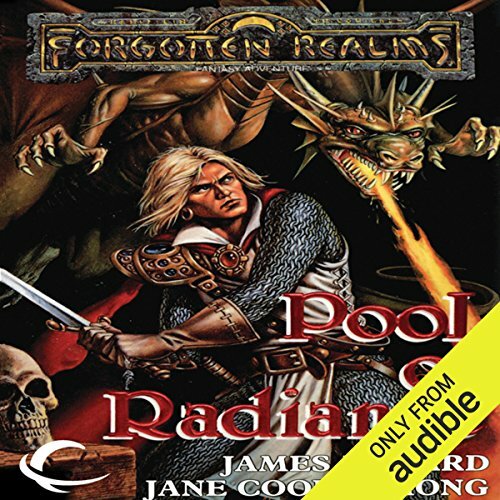 Bring back the forgotten realms franchise!!!! I was hesitant to purchase the audio book based on previous reviews on the narrator's performance. Listening to the sample I didn't "catch" what others had said as an issue and purchased it. 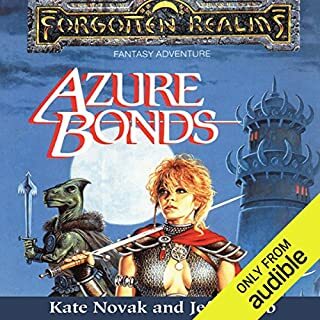 Granted, previous Dungeon & Dragons novels I purchased were voiced by men, i took a few minutes to get used to the difference and warmed to a female voice. Overall, I thought she did a wonderful job in narration and enjoyed listening to a book I haven't read in overall 20 years. loved every minute of it, easy to follow story with some very charming characters.